Below is a short scouting report for each of the Savvy Sixteen selections, so you can be more informed about each of the choices you decide to make. Pay for qualified medical expenses (QME): The reasons HSAs were started in the first place. With an HSA you can pay for qualified medical expenses tax-free1. The funds can also be saved for future qualified medical expenses. Owned by accountholder: With an HSA, the accountholder owns the account and the funds – including any dollars an employer contributes. If you change jobs or retire, you can take the HSA funds with you. Pay COBRA or Medicare premiums: You can use HSA funds to pay for COBRA or Medicare premiums. If you were covered by an HSA-qualified health plan when you became eligible for COBRA, you can still make contributions to your HSA while enrolled in COBRA. If you are enrolled in Medicare, you can no longer make contributions to your HSA, though you can still use any HSA funds in your account for qualified medical expenses. 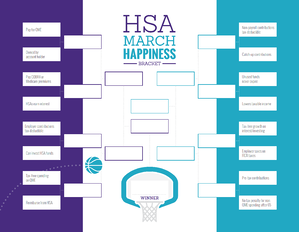 HSAs earn interest: By keeping HSA funds in the account, you can earn interest on the funds. The interest amount depends on your HSA provider and account settings and may be subject to change. Any interest you earn on HSA funds is tax-free. Employer contributions tax-deductible: As an employer, any contributions you make to your employees’ HSAs are tax deductible for your business. Can invest2 HSA funds: Once your HSA funds reach a certain threshold (determined by your HSA administrator), you can invest any excess funds in stocks, mutual funds and other investments. Any potential gains realized from investing HSA funds are tax-free. Tax-free spending on QME: You can use your HSA funds to pay for qualified medical expenses tax-free. NOTE: HSA funds spent on non-qualified medical expenses will be subject to income tax and may be subject to an additional 20% tax penalty. Non-payroll HSA contributions tax-deductible: Most people contribute to their HSA via payroll deductions (which are tax-free). However, if you make a non-payroll contribution to your HSA, that contribution can be tax-deductible on your income taxes. Catch-up contributions: The IRS sets maximum contribution limits to HSAs each year. For 2019 the limits are $3,500 for individual and $7,000 for family plans. If you are 55 or older, however, you can contribute an additional $1,000 above the annual contribution limit each year until you turn 65 and enroll in Medicare. Unused funds never expire: Unlike a flexible spending account (FSA) or other healthcare accounts, you do not have to spend your entire HSA balance by the end of the year. Unused HSA funds never expire. You can save HSA funds all the way to retirement and beyond. Lowers taxable income: Contributions to your HSA do not count as taxable income because contributions are tax-free (or tax deductible if not done via payroll reduction). Employer saves on FICA taxes: If you are an employer, any contributions your employees make to their HSAs through payroll deductions lowers your FICA obligation. Pre-tax contributions: When you contribute to your HSA via payroll deductions, the contribution is made pre-tax, which lowers your taxable income. No tax penalty for non-QME spending after 65: Before age 65, if you spend HSA funds on non-qualified medical expenses, the amount is subject to income tax and may be subject to an additional 20% tax penalty. After age 65, however, you can spend your HSA funds on any expense. If you spend the funds on a qualified medical expense, the distribution is not taxed. If you spend funds on a non-qualified medical expense, you will have to pay income taxes on the amount, but you will not have to pay the 20% tax penalty. 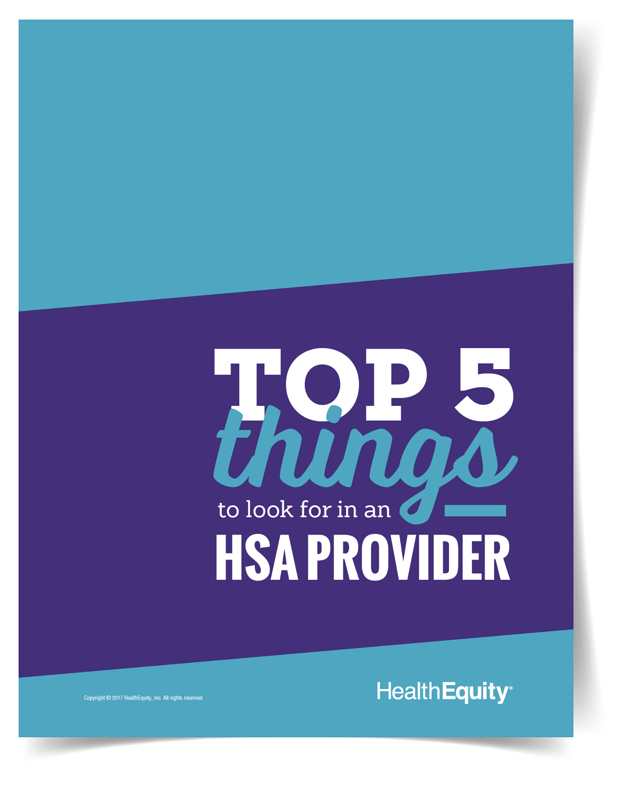 The Savvy Sixteen are just some of the many benefits that come from having an HSA. 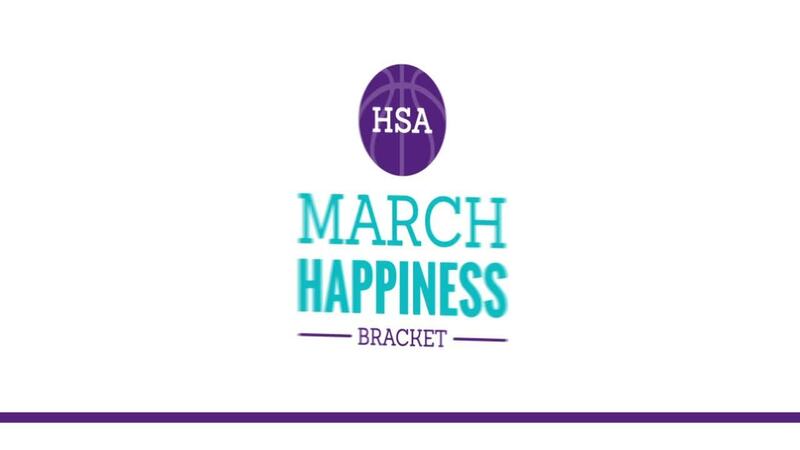 After you have filled out your HSA March Happiness bracket and chosen your winner, leave a comment here in the blog or share your results on your favorite social media platform. We’re excited to hear from you and happy choosing! HSAs are never taxed at a federal income tax level when used appropriately for qualified medical expenses. Also, most states recognize HSA funds as tax-free with very few exceptions. You should consult a tax advisor regarding your specific situation. Accounts must be activated via the HealthEquity website in order to use the mobile app. Nothing in this communication is intended as legal, tax, financial, or medical advice. Always consult a professional when making life changing decisions.